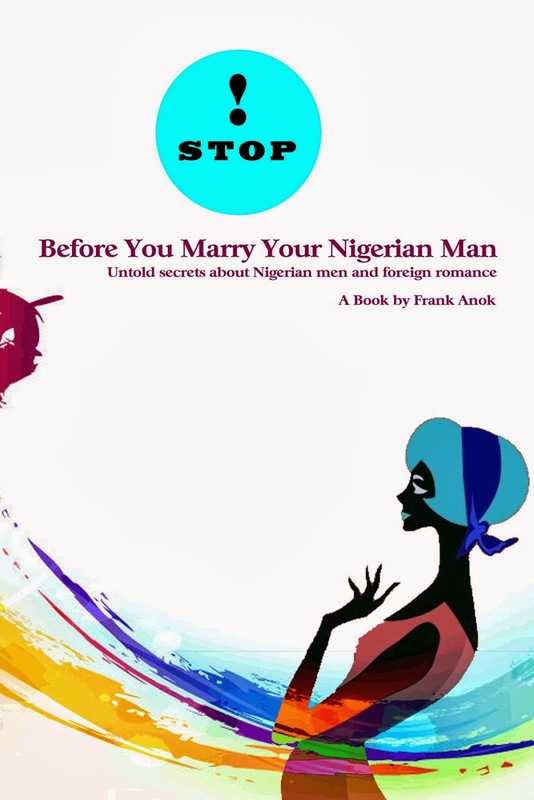 The Obituary of this 10-year-old Nigerian boy from Anambra State will leave you sleepless and wondering what this life has turned to. 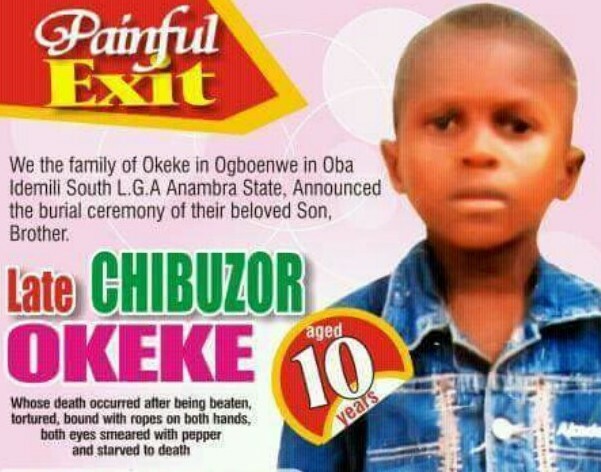 According to the obituary, 10 year old Chibuzor Okeke died after being beaten, tortured, bound with ropes on both hands, both eyes smeared with pepper and starved to death. 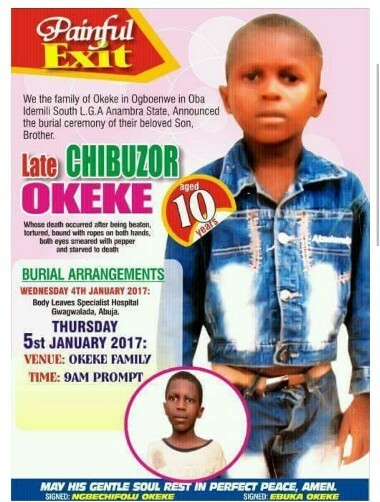 Unfortunately, the obituary didn't specify who tortured Little Chibuzor to death, but I really hope and wish this gets to the notice of the appropriate authority that will be kind enough to take this up by contacting the family of the deceased in order to begin a thorough investigation into the cause of the boy's death in order to bring the perpetrators to book. 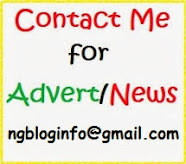 I feel so horrible right now, sighs....Rest on little boy, God and nature will avenge your death even if humans fail to.